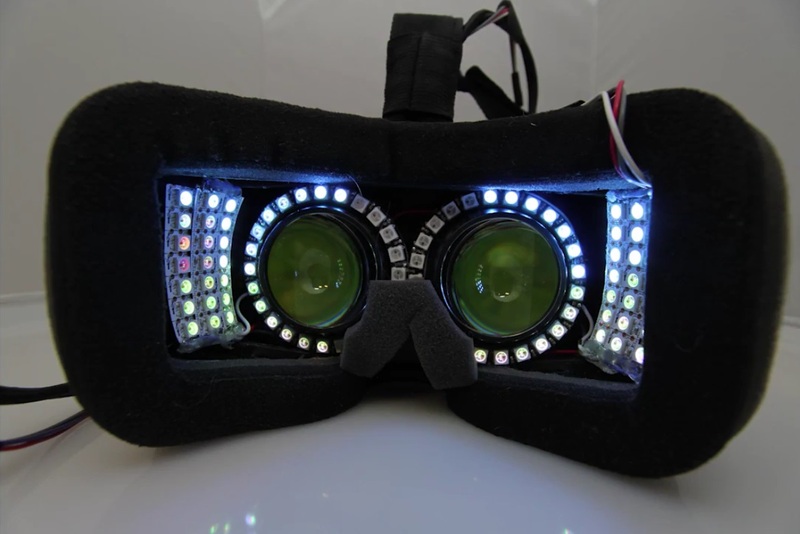 Virtual Reality sickness symptoms are very similar to those of motion sickness that are caused by an exposure to a virtual reality environment. Some of the most common symptoms are disorientation, headache, discomfort, nausea, stomach awareness, vomiting, fatigue, sweating, pallor, apathy, and drowsiness. Some other symptoms include retching and postural instability. Sensory conflict theory: This theory holds that VR sickness occurs when there is a mismatch between what our eyes see and what our body is actually doing. So if you are moving in a virtual environment, these images you see induce a perception of self-motion. But you are not actually moving in the real world, so there is a ‘conflict of senses’ that might make you feel uneasy. Postural instability theory: This theory claims that simulator sickness is rather caused by the unfamiliarity of the virtual reality experience more than the degree of the sensory conflict. It does not deny the importance of the sensory conflict but assures that the sickness is caused by the temporal inability to keep an appropriate postural control and that this will be resolved when the user adapts. The best hardware solutions for VR sickness are devices that can transform movements in virtual reality to the physical world and full body motion tracking systems. These are already available in the market but are so expensive, complicated, and experimental that they will hardly reach the mass consumers. But not all hardware solutions are intended to perfectly match physical movements with VR images. Some are focused on refining headsets’ characteristics to improve the quality of the virtual experience, and thus, avoid motion sickness in VR. Some hardware improvement solutions include better screens and optics, better tracking sensors, higher performance computers, faster response time, higher resolution, wider field of view, eye tracking, and even a lighter and more comfortable headset. Not every solution is based on hardware alone, there is an amazing amount of clever software solutions that tackle VR sickness in one way or the other. 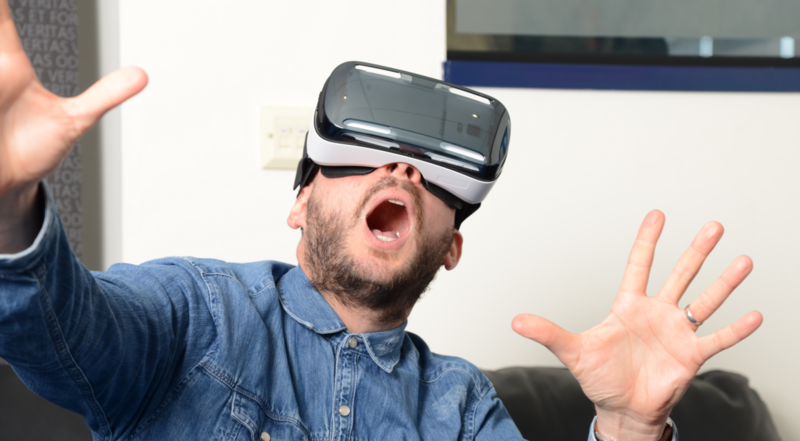 The virtual reality industry is already made of thousands of software developers, they are experienced and aware of the implications of virtual reality sickness. Even though virtual reality has proven itself useful to treat phantom pains in patients who have lost one of their limbs, visualizing your body in a virtual environment can create a conflict of perception that causes unpleasant feelings. Watching your body moving in a VR environment and not moving it in the physical world creates a dissonance. This is why many developers do not visualize or animate certain parts of the body if they cannot be tracked by sensors in the physical world. People often feel comfortable if they can predict changes in the direction of their movements in a virtual environment and when there are not many sharp movements. Watching the movement trajectory helps the mind to better process and understand where the user is heading, thus reducing the effects of virtual reality sickness. The most common examples for this solution are roller coasters, in which you can see the rail, but also those VR games where you can see your avatar from distance. Gamers are the faster to adapt to sideward movements in VR or any other movement which is not where you are actually looking at. This, however, is rather troubling for the not accustomed. Most people new to VR tend to feel disoriented if they are not moving in the same direction they are watching, and this causes VR sickness. Developers can avoid this kind of movements, but they are limited to the situations and the environment or situation they want to recreate in the virtual world. Although a bit radical, this solution is quite effective, especially if you are trying to get used to VR experiences. Sacrificing a little bit of graphical smoothness, users can tackle their symptoms of VR sickness by removing its main cause: the virtual movement. So, instead of moving like a real object, you would be teleporting inside the virtual world, or ‘moving through frames’. This idea is based on the concept that the virtual experience will feel more comfortable if the surroundings are more predictable or static. This static surrounding environment will serve as a synchronization between the real world and the virtual environment, or a bridge one might say. This is why many video games allow inserting a cockpit, a helmet, a car dashboard, or any static surrounding to make the user feel more comfortable. This feature is often optional. If the movement of the camera and the virtual environment is more predictable, users will feel fewer effects of motion sickness. So fewer sharp camera movements, a slower motion, fewer accelerations, camera shakes, and blur effects might prove beneficial at avoiding VR sickness. The better a user understands where he/she is at any given moment, the more comfortable he/she will feel with the virtual experience. GVS (Galvanic Vestibular Stimulation): In case you only understood the word ‘stimulation’, this solution developed by Mayo Clinic basically consists on zapping your skull with electricity to affect your sense of balance. Nasum Virtualis: This solution was developed by the startup Virtuales LLC, it places a nose into the virtual world that you can barely notice. 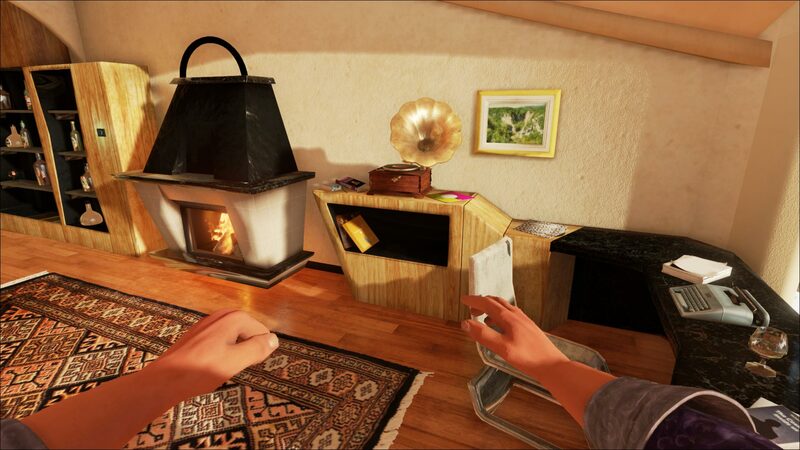 The nose serves as a fixed point of reference to easy virtual reality sickness. Subtle Dynamic Field-Of-View Modification: In this case, field-of-view is reduced when movement occurs and it is restored to its original size when movement stops. According to the researchers, this reduces distraction and VR sickness. The Holosphere – VR Locomotion: This interesting method allows the user to completely move the VR environment instead of moving himself. “Tunneling” VR Locomotion: For this solution, the player moves to a new location in the VR world using a “tunnel” view while the peripheral view stays grounded at the original location, this reduces overall vection and sensations of motion.